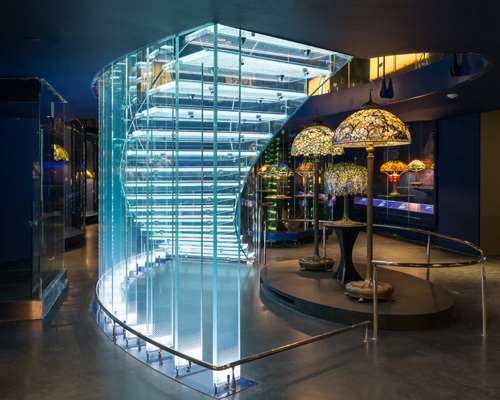 The Gallery of Tiffany Lamps, designed by renowned Czech architect Eva Jiřičná, comprises a 4,800-square-foot, two-story space measuring nearly a city block with its soaring glass Norman S. Benzaquen Grand Staircase. 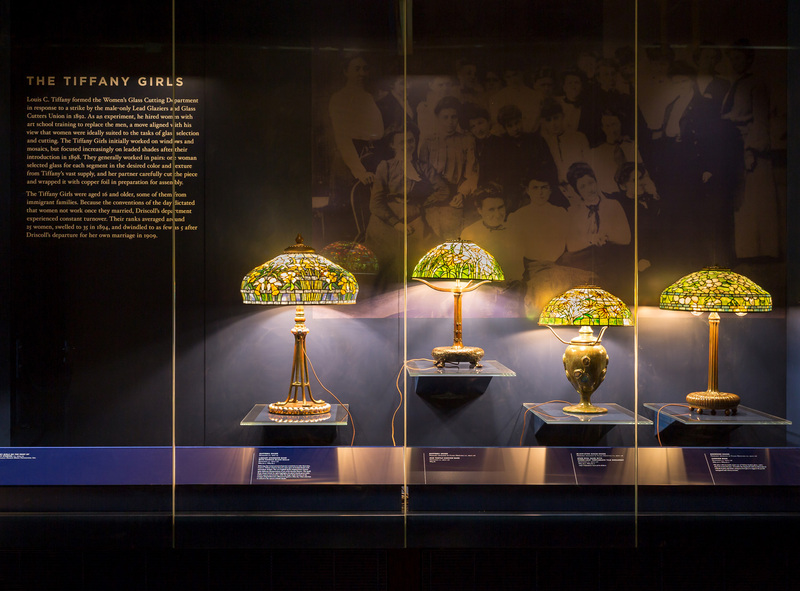 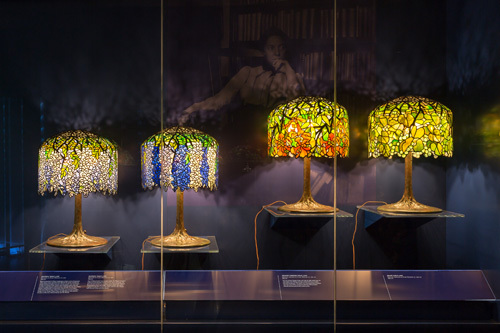 In 2005, the New-York Historical Society discovered the hidden history of Clara Driscoll and her Women’s Glass Cutting Department, who designed and created iconic Tiffany lampshades at the turn of the 20th century. 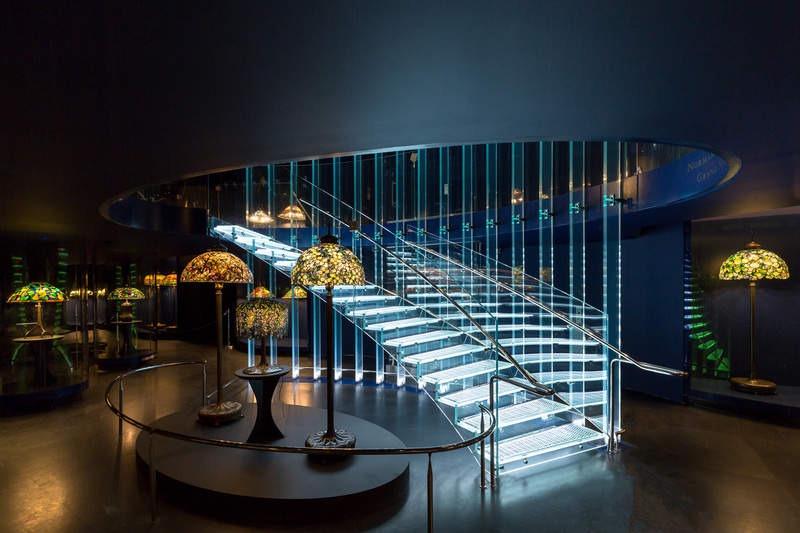 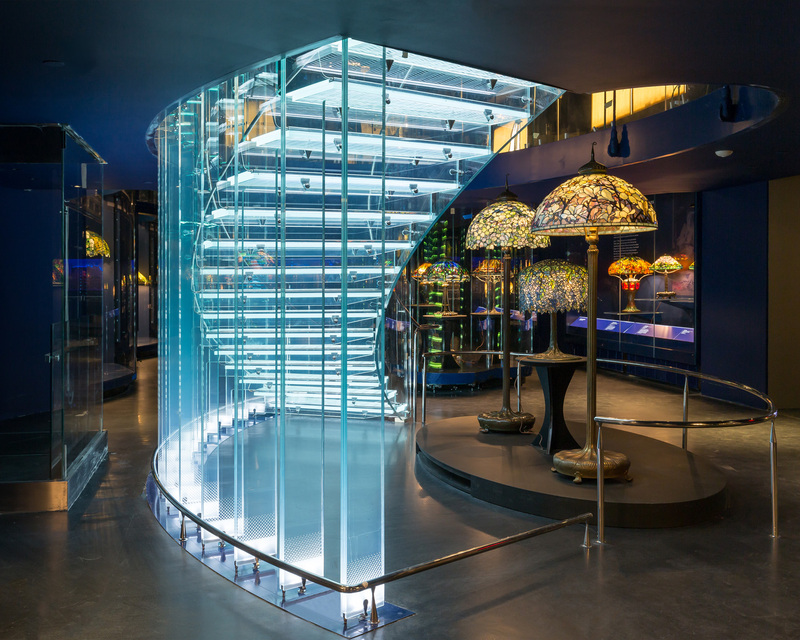 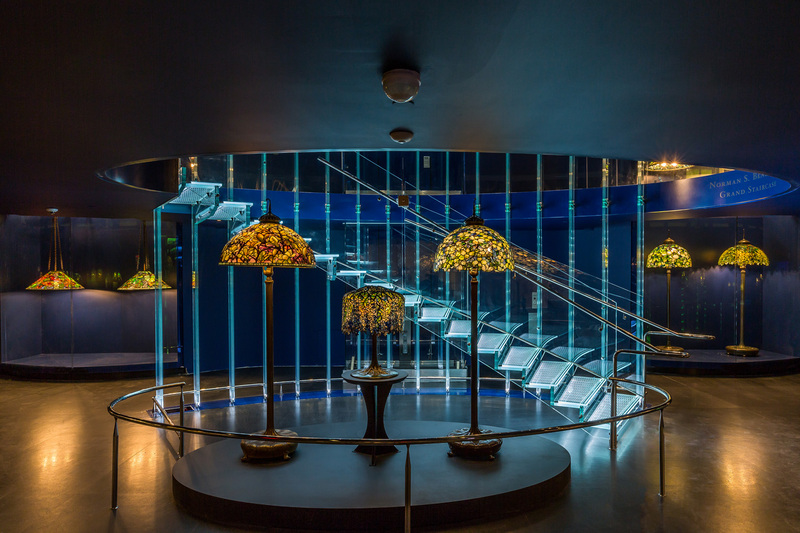 Known for her iconic glass staircases, the Gallery of Tiffany Lamps is Jiřičná’s first New York museum project. The exhibition celebrates Driscoll and her team of “Tiffany Girls,” who worked in anonymity and remained hidden in Louis C. Tiffany’s shadow until the discovery of Driscoll’s correspondence, providing a powerful connection to the adjacent Center for Women’s History. The glass staircase, fabricated of laminated low iron glass components, features absolute minimal polished stainless steel connectors and internal lighting. The installation also includes multiple examples of the Dragonfly shade. 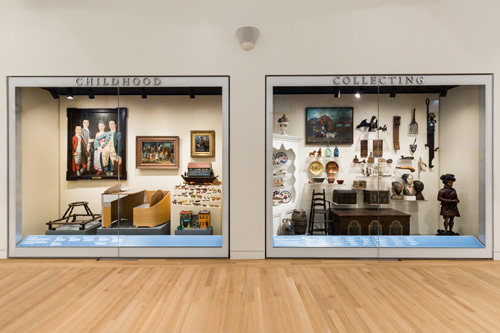 The 2,600-square-foot North Gallery features grand double-height ceilings to imaginatively display and interpret New-York Historical’s permanent collection highlights. 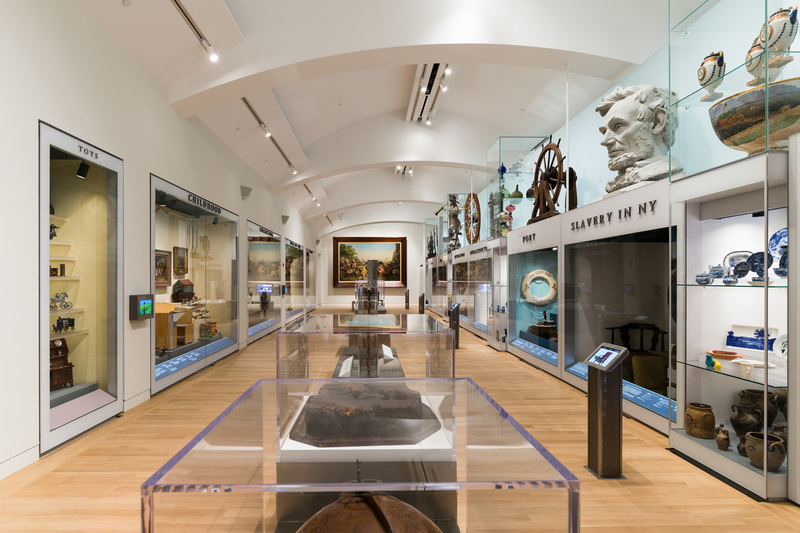 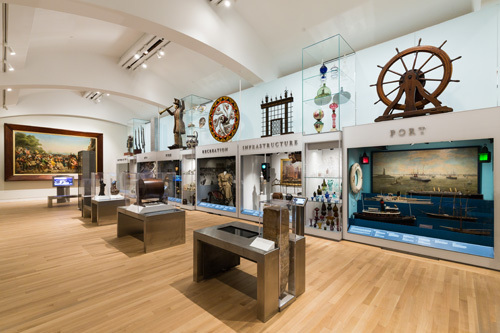 The sprawling North Gallery features 15 themed niches that bring together a variety of artifacts and artworks, contrasted with six soaring vertical cases that showcase dense presentations of objects. 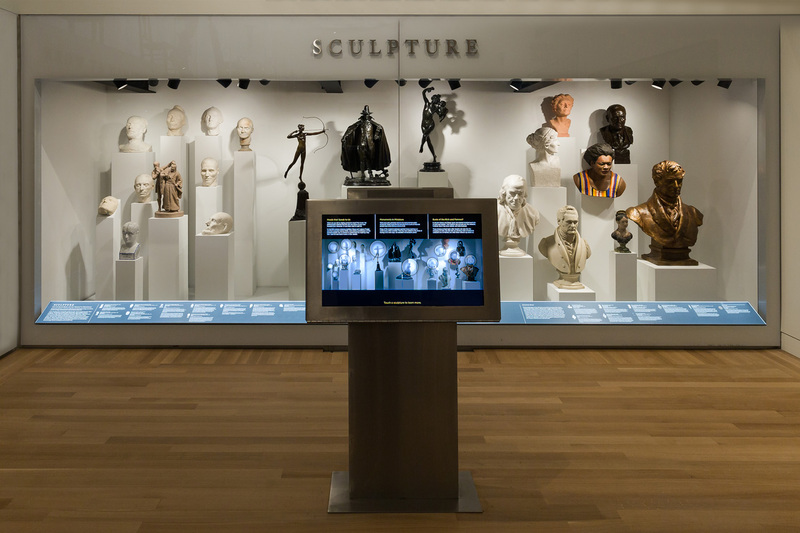 Tablets and touchscreens allow visitors to delve deeper into the stories of objects on view with more than 50 videos and 1,500 images. 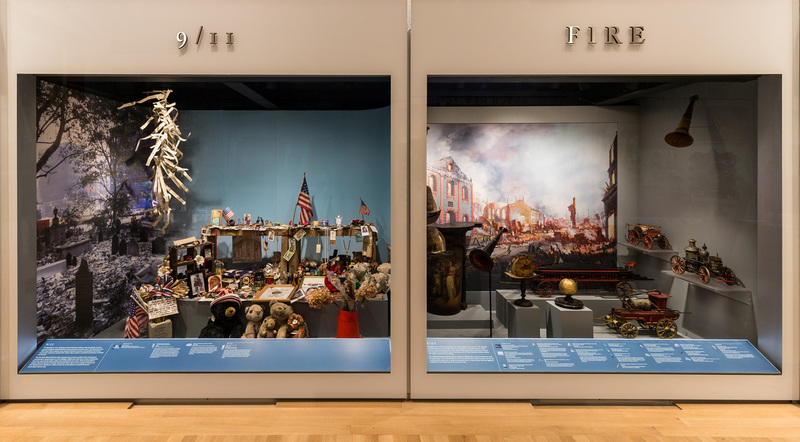 Highlights of the thematic niches, which evoke familiar aspects of urban life through the generations, include artifacts from seminal moments in New York history, such as September 11, 2001 and the Great Fire of 1835. 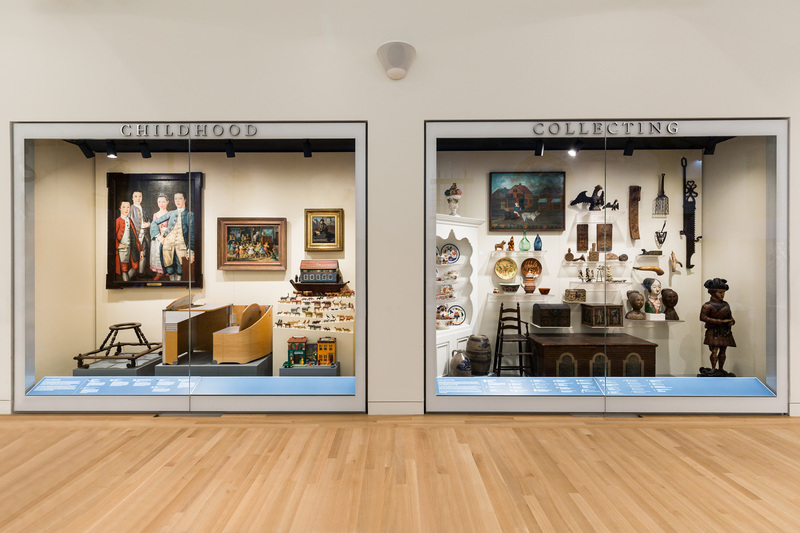 Among the 15 themed niches that bring together a variety of artifacts and artworks are those relating to childhood and collecting. 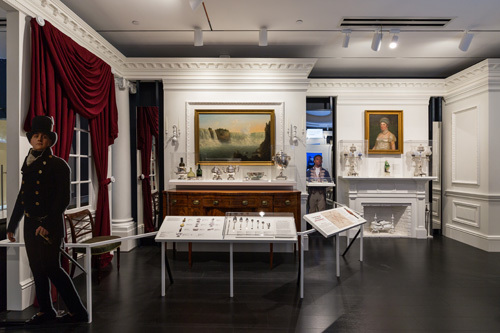 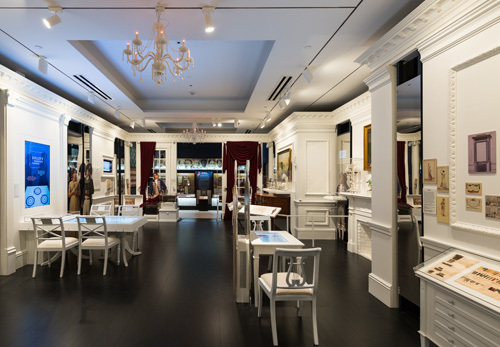 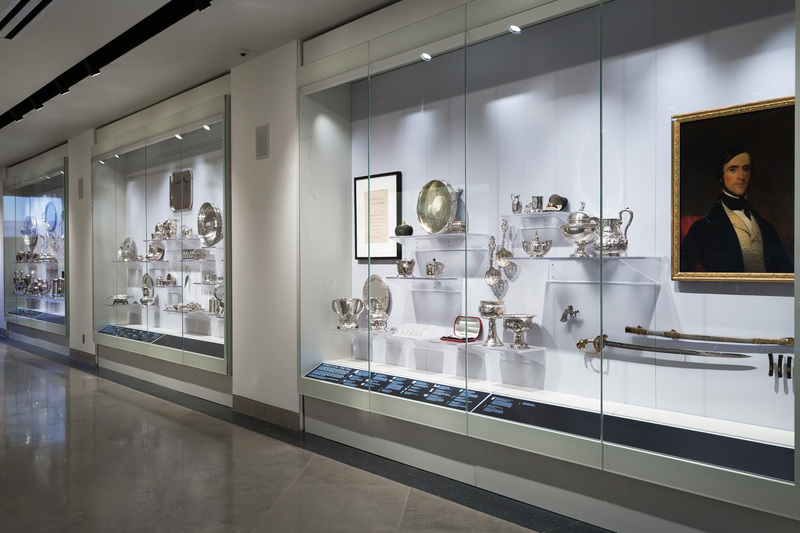 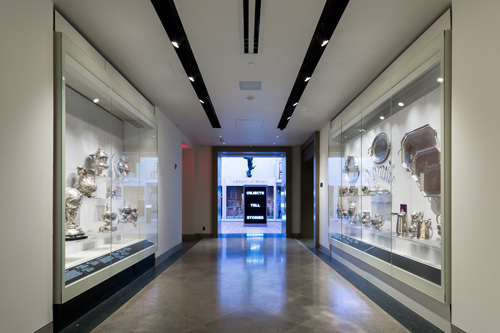 The 800-square-foot Hall of American Silver Gallery showcases a display of silver and jewelry by the New York retailer Tiffany & Co., as well as highlights of the Museum’s collection of early American silver. 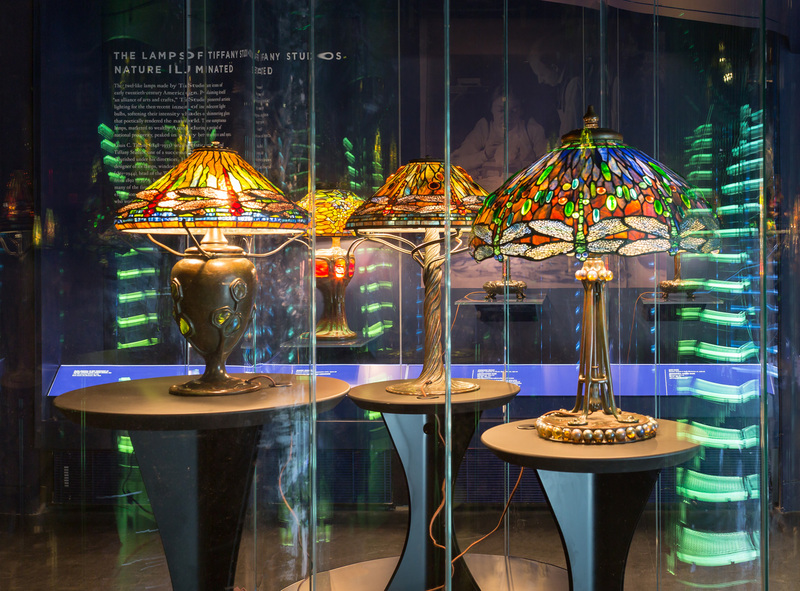 The renowned silver and jewelry retailer Tiffany & Co. was founded by Charles Lewis Tiffany (1812–1902)―father of Tiffany Studios head Louis Comfort Tiffany― and John B. 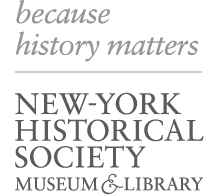 Young (1802–1852) in 1837. 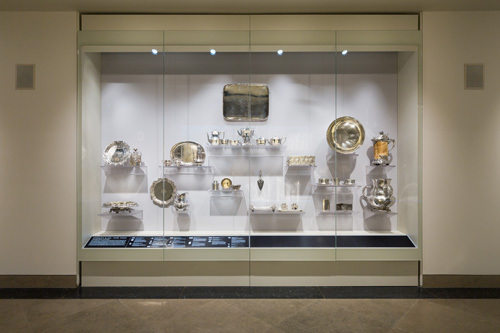 On view are highlights of the Museum’s collection of early American silver. 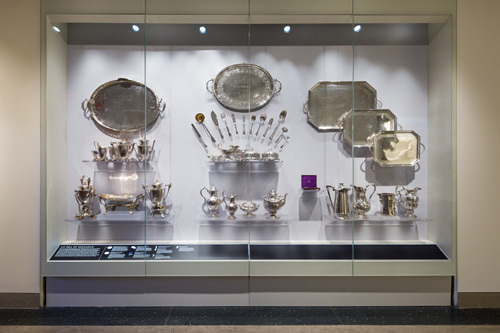 The Hall of American Silver showcases a display of silver and jewelry by the New York retailer Tiffany & Co., including the monumental punch bowl presented by five-and-dime magnate Frank W. Woolworth to architect Cass Gilbert upon the opening of the Woolworth Building in 1913. 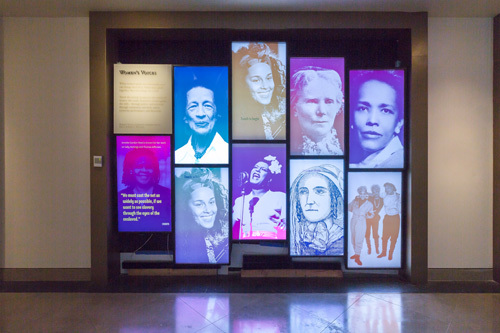 Women’s Voices, a multimedia digital installation of nine oversized touchscreens, reveals the hidden connections among exceptional and unknown women who left their mark on New York and the nation. 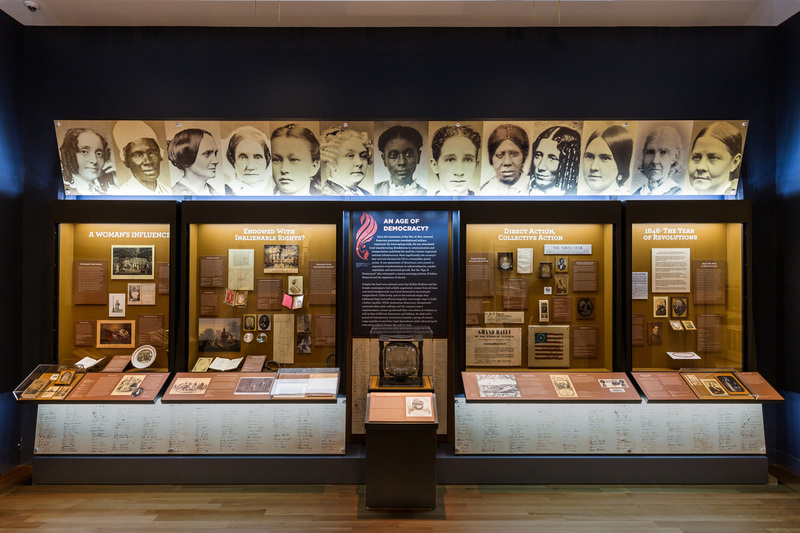 Two new display cases highlight women’s history artifacts from the Museum’s collection. 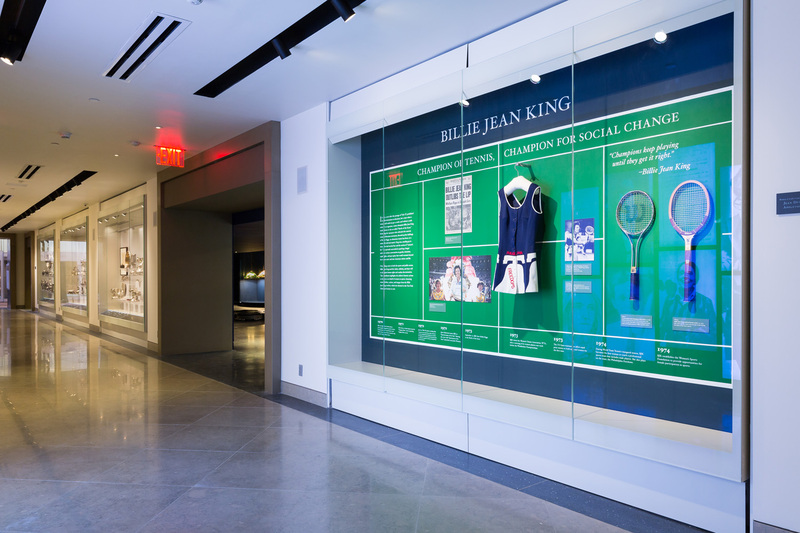 One of them features items from the recently donated archives of Billie Jean King, including a tennis dress, racquets, and materials that illustrate her historic fight for women’s rights and equal pay. 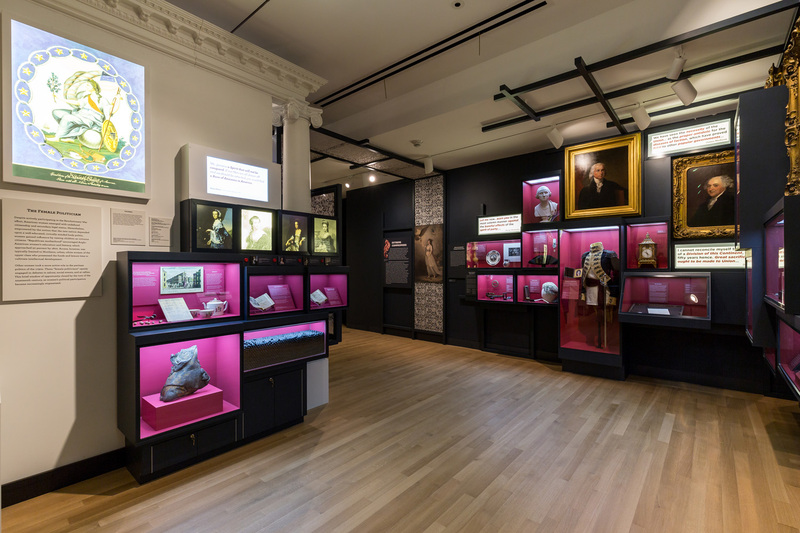 Saving Washington, the inaugural exhibition of the new Center for Women’s History, showcases the contributions of First Lady Dolley Madison and her female contemporaries to the fledgling democracy of early America. 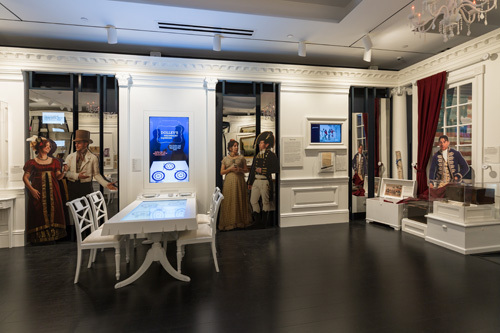 Saving Washington features more than 150 objects—including artwork, books, documents, clothing, jewelry, and housewares—within immersive, interactive installations evoking Dolley Madison’s famous “Wednesday night squeezes,” her popular social gatherings that drew a wide range of people to “squeeze” into the president’s mansion and encouraged informal diplomacy. Dolley Madison was one of the most influential women in America during the nation’s formative years and a powerful force during a time when women were excluded from affairs of state. An interactive recreation of Dolley Madison’s dining table invites visitors to practice their diplomacy skills. The exhibition illustrates the new Center’s mission: to reveal the often-overlooked stories of women who shaped American history.